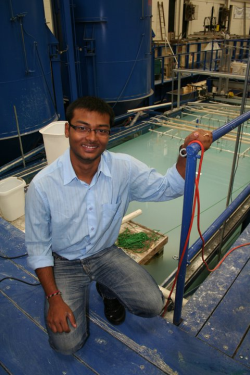 Research Intern at the Hydraulics Lab, at IIT Kharagpur 2006 and IIT Kanpur 2007. Researcher, Hydraulics Lab, IIT, Kanpur 2008-2009. Graduate Research Assistant, UIUC 2012-2015. Computational Fluid Dynamics and its application at different scales to solve problems in Hydraulics, Environmental Fluid Mechanics, Sediment Transport, Geomorphology and Geophysical Fluid Dynamics.